A bookkeeper is an important person in the company. In fact, a whole lot of things lie upon the bookkeeper. As the one who, so to speak, keeps the books, as a bookkeeper, you hold a very important part in the foundation of the business. A bookkeeper’s job begins with a meeting with the client to determine the requirements and the extent of the job. Some bookkeepers may be asked to do tasks that other bookkeepers are not assigned to do. It mostly depends on the various unique processes of different companies. After the job has been determined, a turnover of the books will be done. At this point, if you are the bookkeeper, you naturally have to do a background check of the past accounts. This will help you become more familiar with your client’s financial standing. After that, you will begin your tasks. As a bookkeeper, your employment status may differ depending on the client that you are working for. Some clients may require you to work in an office at specific working hours, while some clients may require you to work on your own at home or anywhere you want. The second option is usually the case when the client has a web-based information server that can be accessed anywhere. 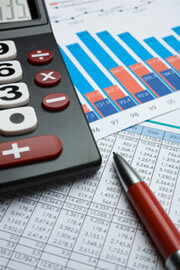 A bookkeeper is tasked to keep the records of a client’s accounts and finances. This means that it entails a lot of financial tasks, starting from making account deposits, paying off the client’s payables, preparing tax forms, preparing the payroll with the necessary deductions and considerations, handling the ledgers, and making sure that daily records and correct and perfectly balanced. Also, since there are certain requirements when it comes to tax filing, such as deadlines, you should also make sure that you do things in a timely manner. Aside from handling the books and keeping the records, it is also your responsibility as a bookkeeper to keep everyone who should be informed and updated about the company’s current financial status up-to-date with the records. With such a job profile, as a bookkeeper, you should have good skills in organization as well as communication. It also pays to have a sharp and keen eye for details because your job will involve a lot of details, and they happen to come in the form of numbers, which can get quite confusing at times. And of course, computer literacy is a must-have. Although computing technology is not a foundational aspect of bookkeeping, given today’s business environment where computers seem to be the center of any business, computing skills are definitely necessary. Other than that, since you will be taking care of various aspects of a business, it is unavoidable that you’d have to deal with a lot of people from different departments. You should also have good interpersonal skills in order to succeed as a bookkeeper.